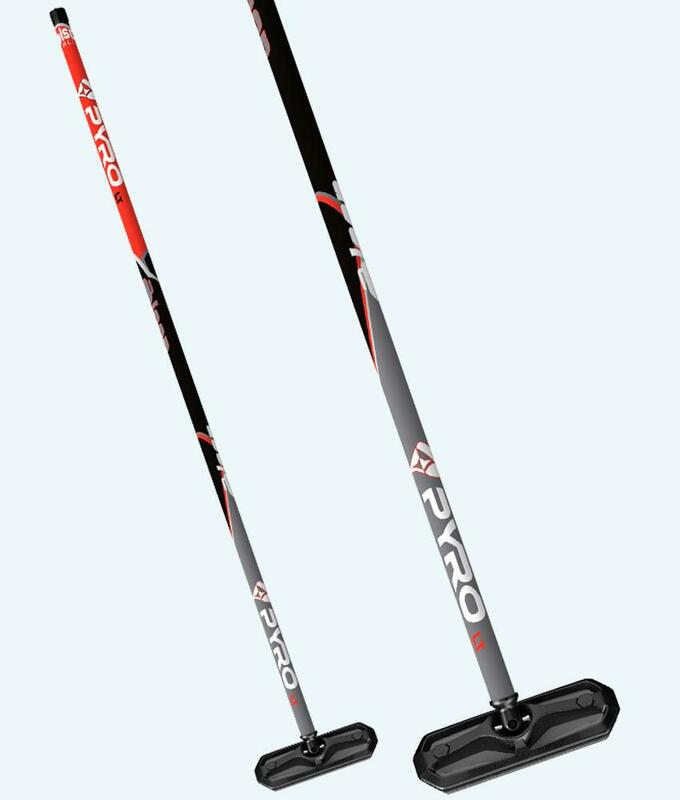 Olson's PYRO Fiberlite broom features a flat shaft and complete with an adjustable swivel tension head. 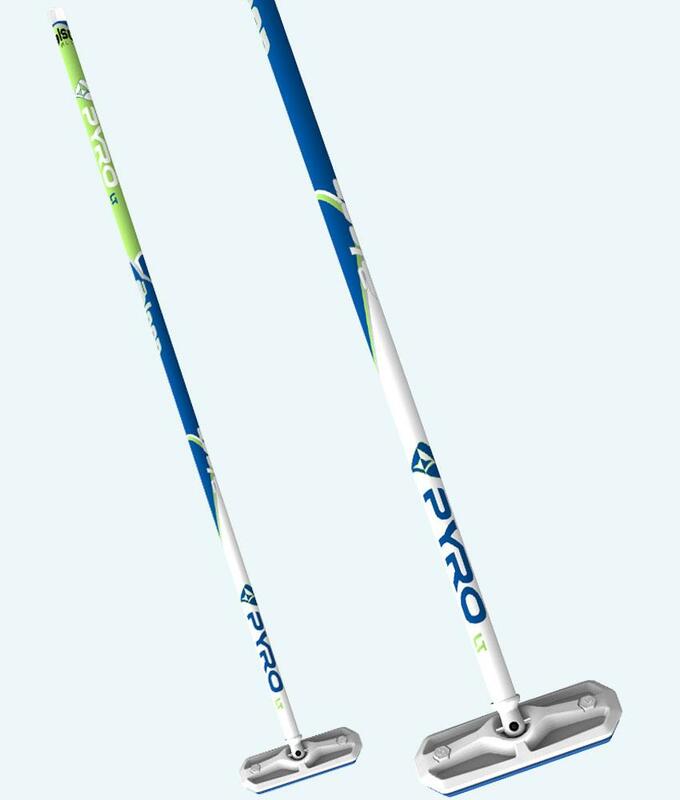 Lime, Blue and White handle comes with a matching Blue PYRO Pad. Red, Black and Grey handle comes with a matching Black PYRO Pad. 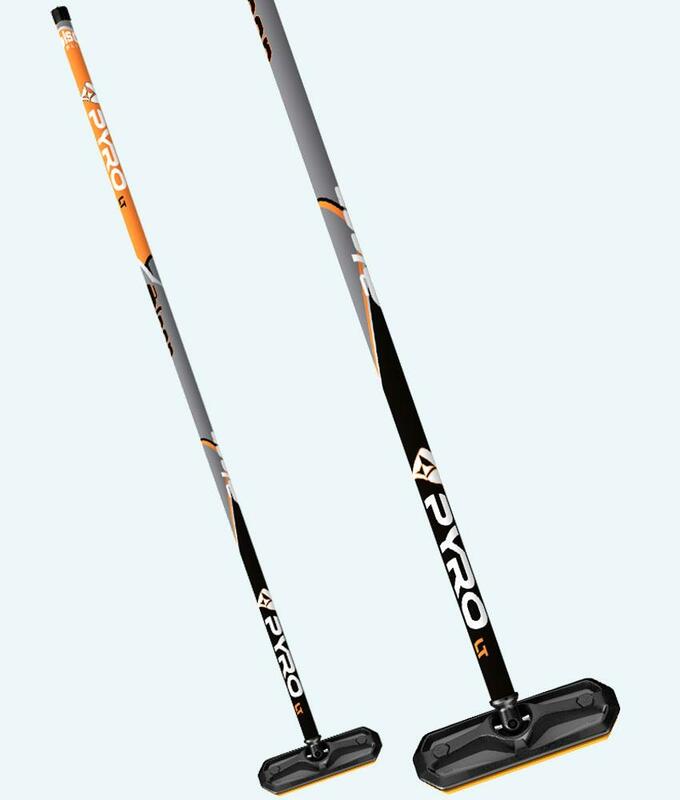 Orange, Grey and Black handle comes with a matching Orange PYRO Pad.